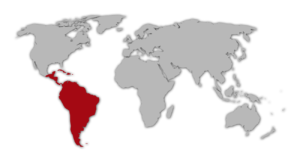 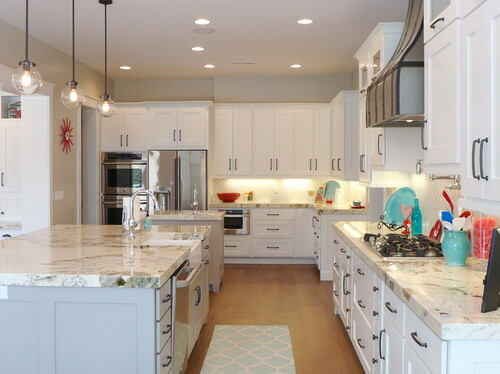 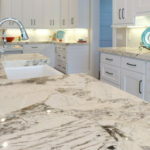 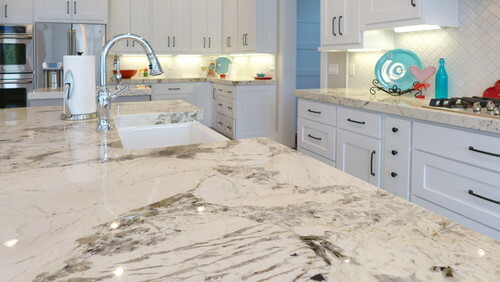 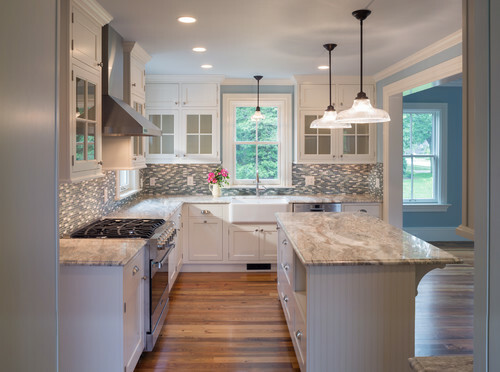 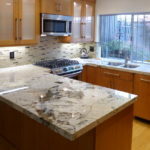 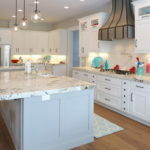 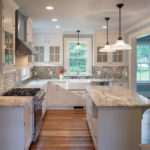 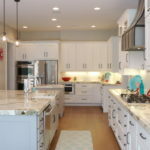 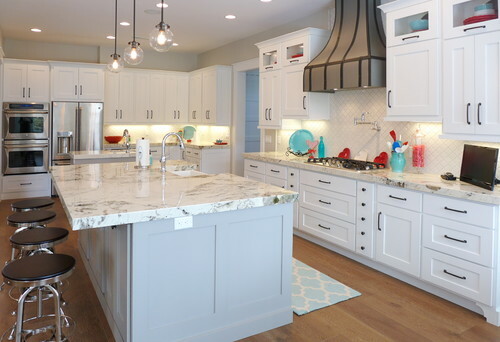 Our Alpine White polished granite from Brazil is characterized by gunmetal greys and graphite, accented with ebony, on a field of densely veined icy white. 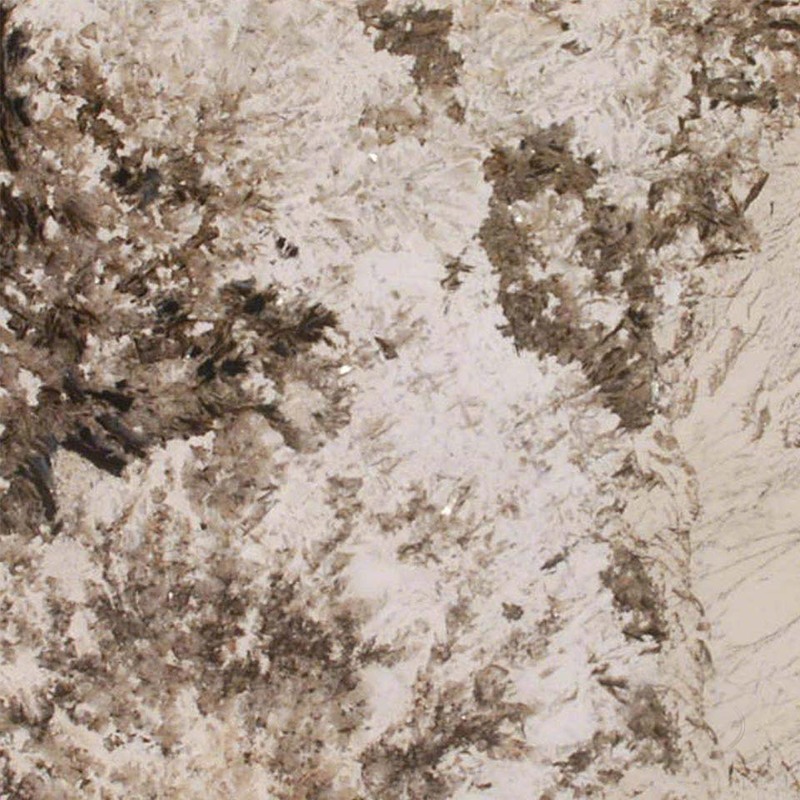 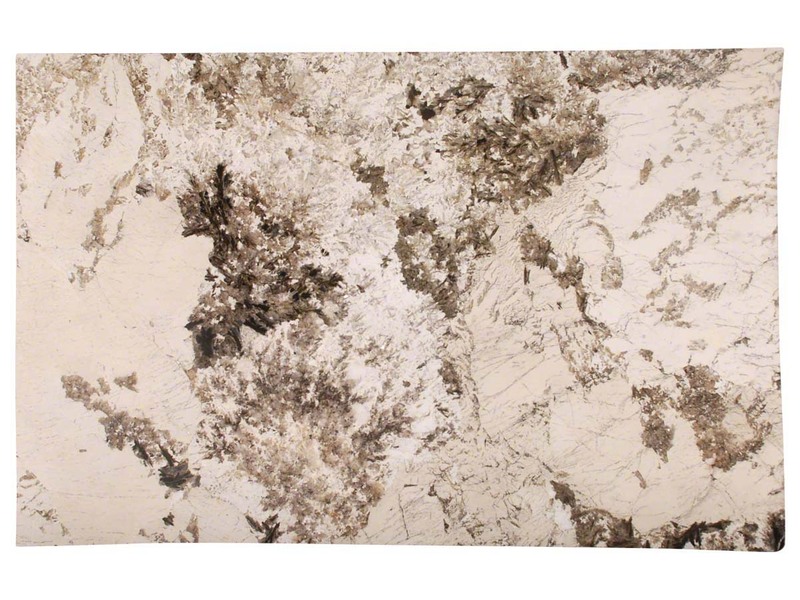 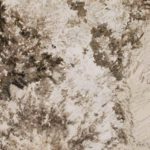 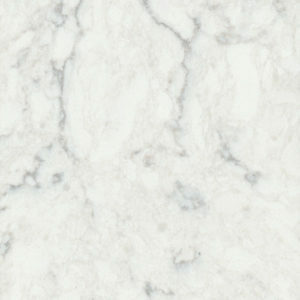 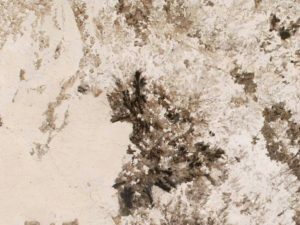 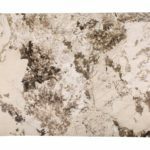 This stunning pattern is ideal for unforgettable granite countertops, backsplashes and walls in homes and businesses. 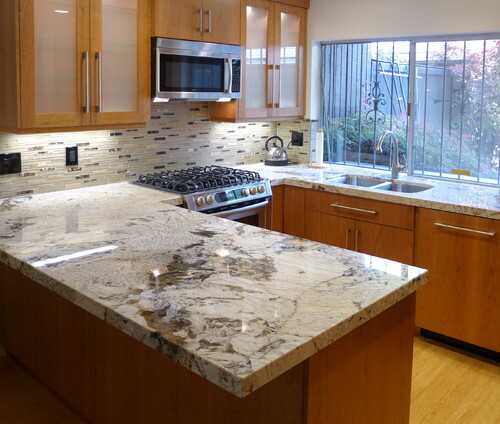 Durable and versatile, this granite can also be used for outdoor applications.